Having managed the social media pages for my employers here in the Czech Republic I thought it was about time I added a social media element to this blog. 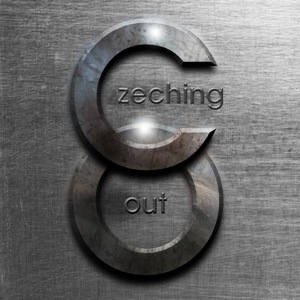 You can now follow me on Twitter, Facebook, Instagram (@czechingoutofhere) and Google+. I’ll be sharing photos and content that won’t be featuring in the main blog posts so check them out. Most if not all the photos I’ll be sharing will be taken on my iPhone and edited in Snapseed. For the blog the majority of images are taken on a Fuji X10 and edited in Photoshop. I also have a Canon 40D but I find it too bulky for walking around with so often leave it at home. I also designed a new theme for the blog that will be reflected across all the social media platforms. I think it sums up the blog pretty well, an Irishman living in Pardubice and exploring the Czech Republic. So feel free to connect with me and share your thoughts and comments on any of the social media accounts and hopefully I can keep you entertained and informed on what it’s like for an expat living and working in the Czech Republic. I’m writing this post on my phone on the way to Karlovy Vary for another adventure. You gotta love modern technology.